Nathan made a few crafts to celebrate Earth Day. The first two were trees. 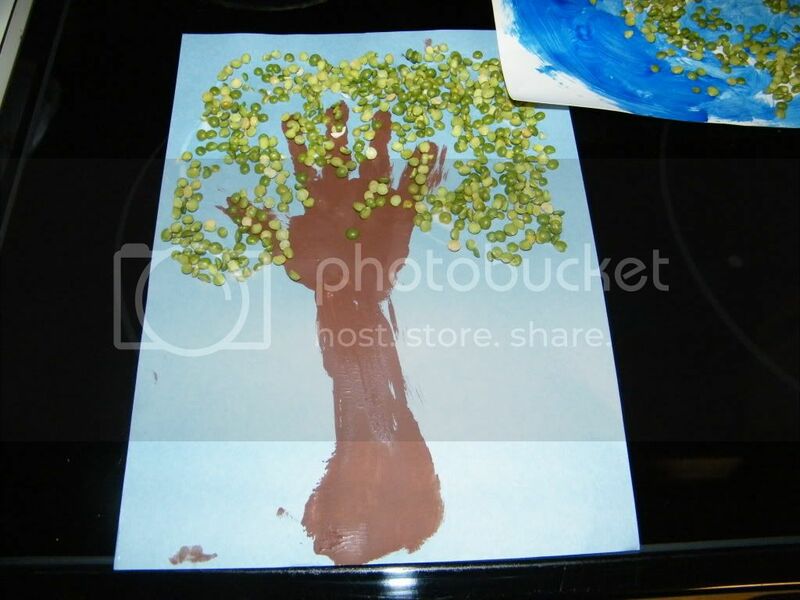 One tree, we used brown paint to paint his arm and hand. 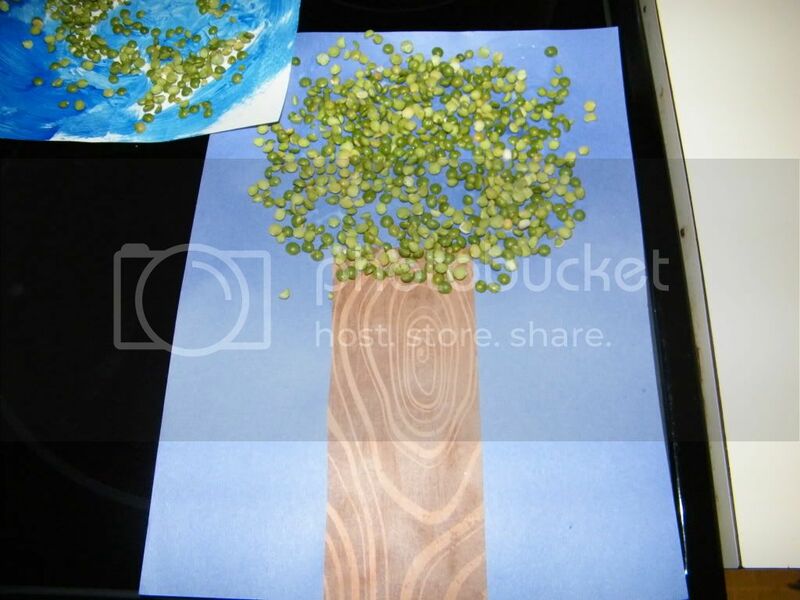 And split peas for the leaves on the tree. 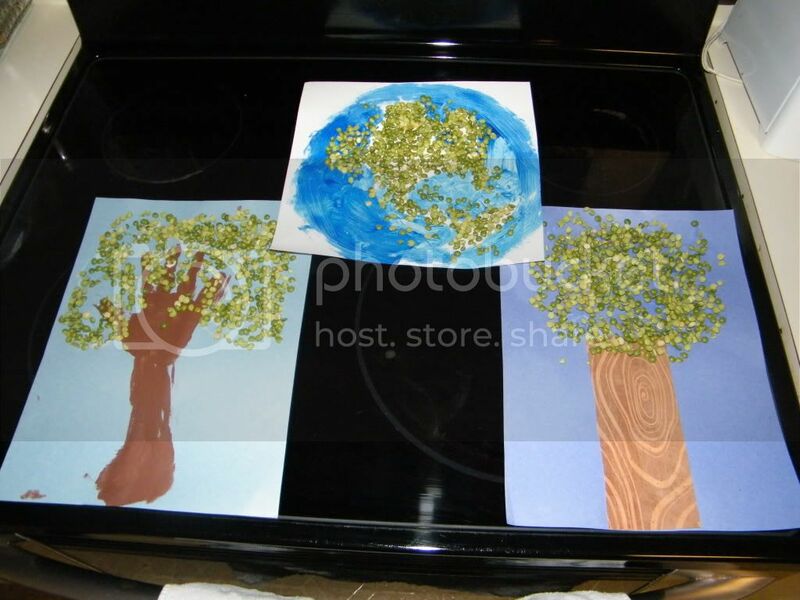 For the second one, we used scrap paper that looked like tree bark. And split peas for the leaves on the tree. 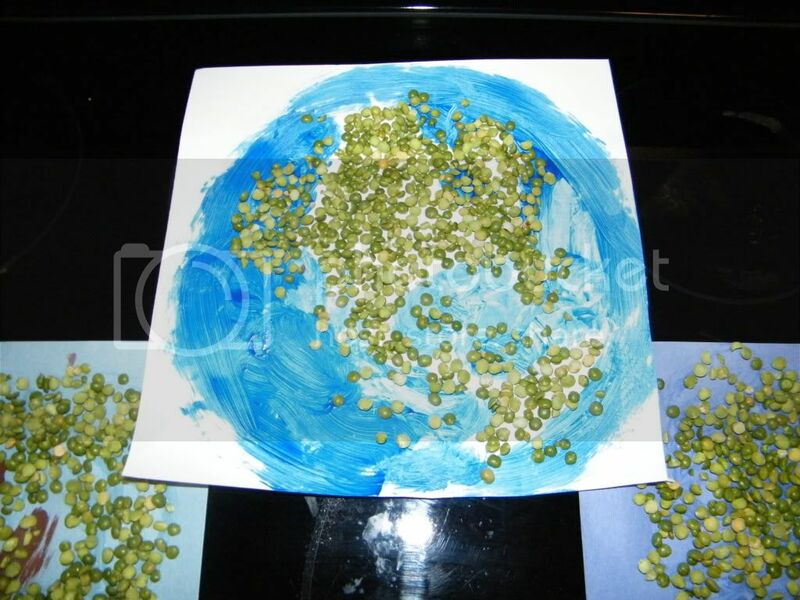 The third craft we made was the planet Earth. and used split peas for the land. I bought a bag of split peas for another project and had a bunch left over, so I thought this would be a great way to use them up (no one in our house likes split peas). But alas, we still have over half a bag. How cute! It will be so fun to have all of these projects with his hand prints especially in a few years when his hands are way bigger. I love these - especially the one with his arm and hand. Very clever. I love the trees. You should repost this in the fall because it would make a great fall tree too!